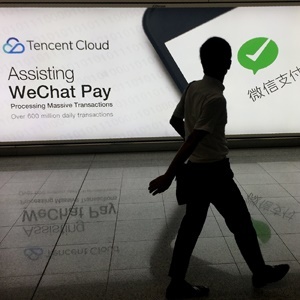 Tencent bought back shares for a second day on Monday after its first repurchase in four years spurred speculation that the battered internet behemoth may do more to support the stock. The Shenzhen-based company said it bought 124 000 shares for HK$39.1m ($5m) on September 10, more than five times the amount it spent on Friday. The previous time Tencent bought stock was in April 2014, when it spent HK$77m buying shares and spurred a three-day rally. By starting with a small repurchase, Tencent could be testing market reaction before considering more, said Shawn Yang, an executive director of Blue Lotus Capital Advisors who covers the social networking giant. The stock fell 1.8% on Tuesday to a one-year low and has lost 35% from its record high in January. “This is just the beginning - we may see more buybacks from Tencent,” Yang said on Monday before Tencent announced its second round of purchases. “Buybacks can minimise the downside impact but they’re not enough to immediately trigger a rebound in the stock price. "We may continue to see more pressure for Tencent in the short term, but it’s good timing to buy back because it sends a message to the market that ‘look, we are not as bad as you think’." The rout in Tencent stock has wiped more than $190bn from its market value amid a global tech selloff and concerns about earnings in its lucrative games business amid a Chinese regulatory clampdown. It’s still one of the highest rated stocks with an average price target implying a 44% upside from Monday’s close.